The Rhythm Changes Nashville Chapter is comprised of Belmont students in the heart of Nashville. 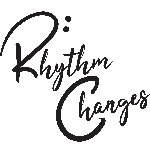 The chapter works hard to create events and fundraisers to raise money for Rhythm Changes. The group was started by Matthew Millstein, who posted a simple call to action on his Belmont Class Facebook Page. It was up to each student to take the initiative to contact Matthew and join the chapter. The members all have different talents and experiences. Some have been working for Haiti for over a decade, some have helped build an orphanage in Haiti and others have never worked for Haiti. Being that the students live in Nashville, most of them are musical in one way or the other. From bassists to drummers to singers and soundmen, the group has a shared love for music and believe it can change the world. Currently, the chapter is working on launching their social media pages. They will then be bringing fresh content to the pages weekly. In the Spring the chapter is looking to take their first trip to Haiti with Brandon from the Maryland Chapter. On this trip, the members will play with the kids, teach some music clinics and give some private lessons. The chapter would also like to have a joint recording project. It would consist of Haitian and American musicians playing together and then having it captured digitally.